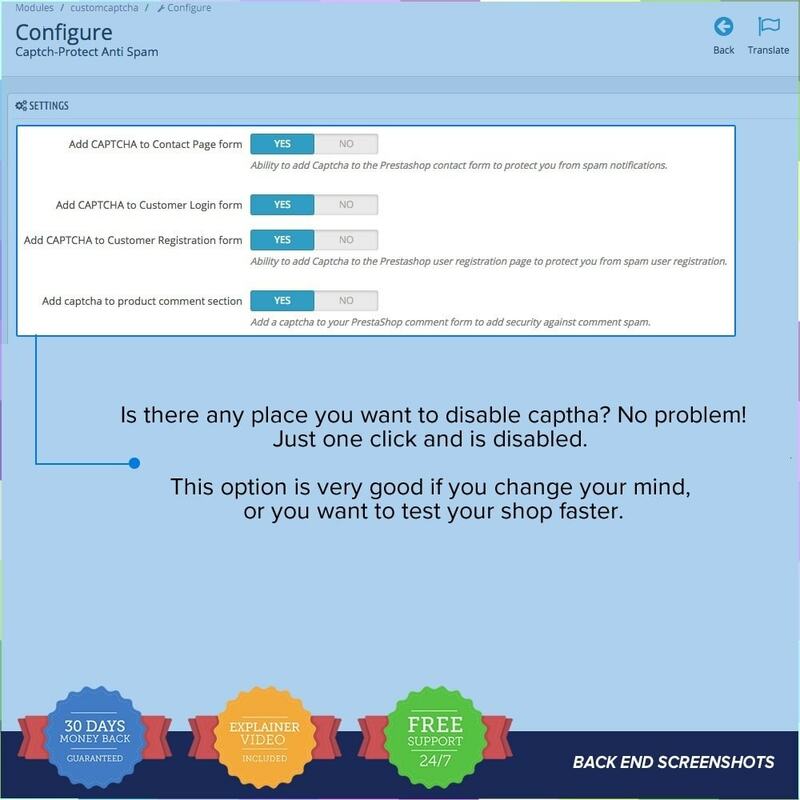 Captcha-Protect Anti Spam / Anti Fake Orders Prestashop module gives you the option of activating captcha anti-spam on forms on your online shop. 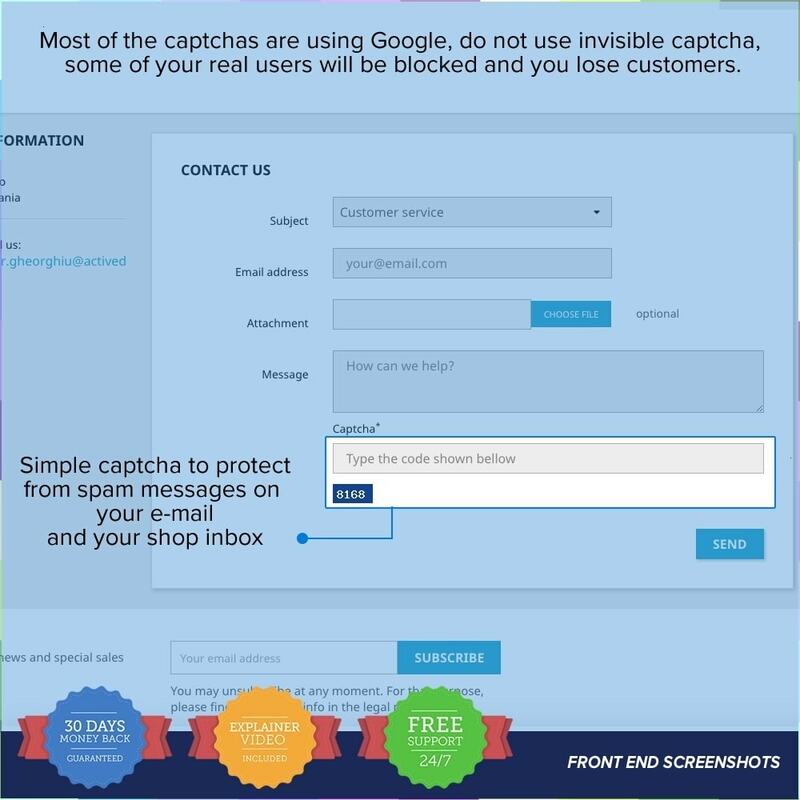 - Display CAPTCHA anti spam protection to Contact Page form. Prevent robots of sending spam messages using your store's contact form. 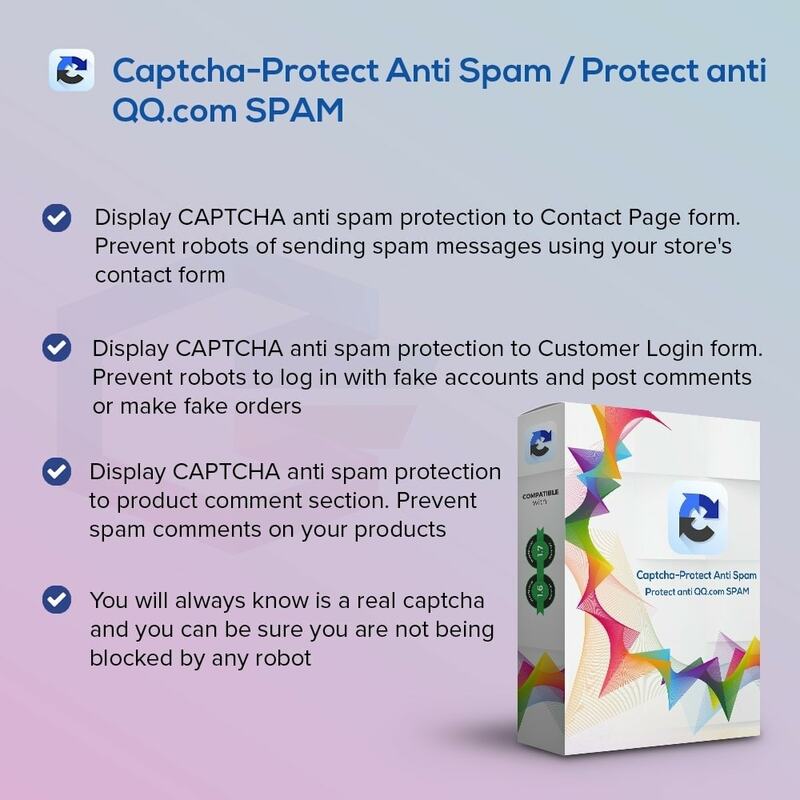 - Display CAPTCHA anti spam protection to Customer Login form. Prevent robots to log in with fake accounts and post comments or make fake orders. 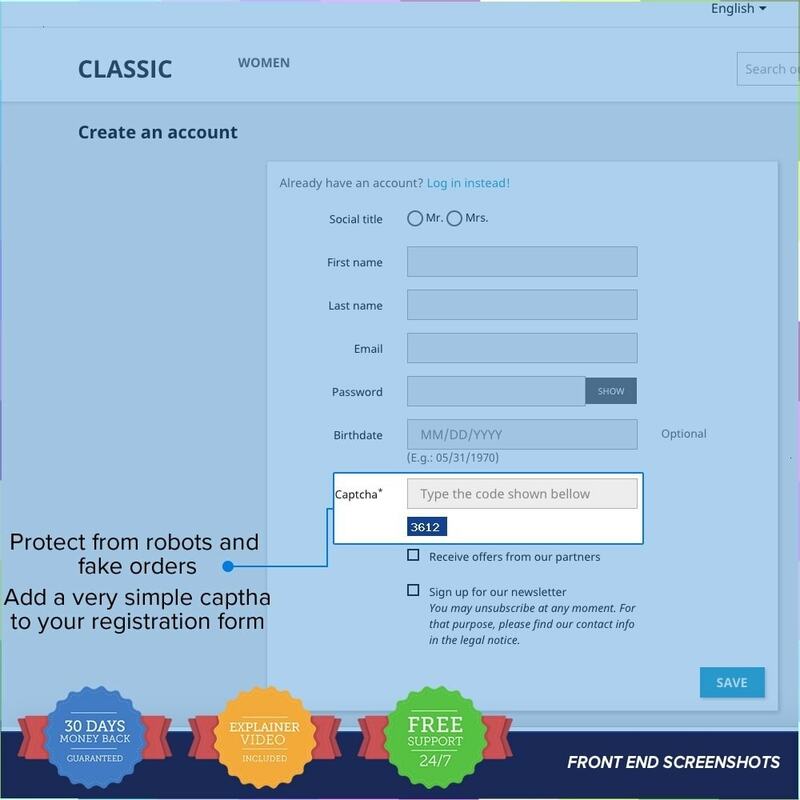 - Display CAPTCHA anti spam protection to Customer Registration form - Protect from robots, fake accounts and fake orders. 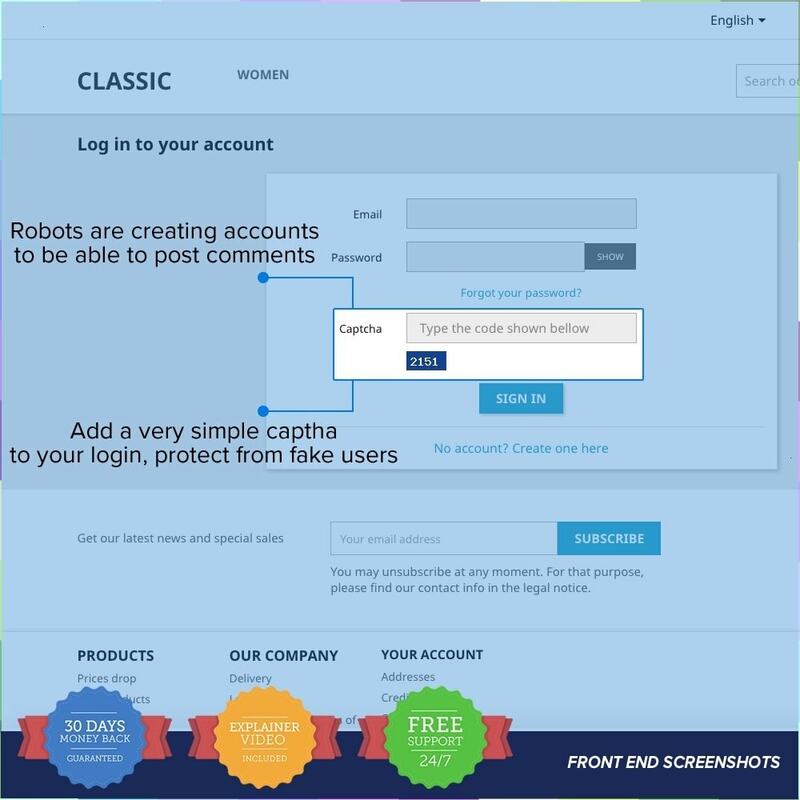 - Display CAPTCHA anti spam protection to product comment section. Prevent spam comments on your products. Thank you to the developer, there were issues with my template. They quickly resolved the issues, so it works perfectly with my theme. Thank you !! Very very easy to install. But initially the module didn't work properly with our custom theme; in the contactpage the captcha was not visible at all, and in the product comment page the captcha could be ignored (submitting comments without using the captcha). We reached out to the developer, and within 15 minutes they contacted us. They solved all issues, really great service, now everything is working perfect. Thank you (especially Mike) for this great module! !